Tracey Brown LIVE 🔮 Periscope User Stats This is Tracey Brown LIVE 🔮s periscope stats website page. This is Tracey Brown LIVE 🔮s periscope stats website page. Tracey Brown LIVE 🔮 created profile on 2015-04-03 Time 05:31:04 and last update profile time is . Tracey Brown LIVE 🔮 total followers is 3157 and Tracey Brown LIVE 🔮 total following is 212 . 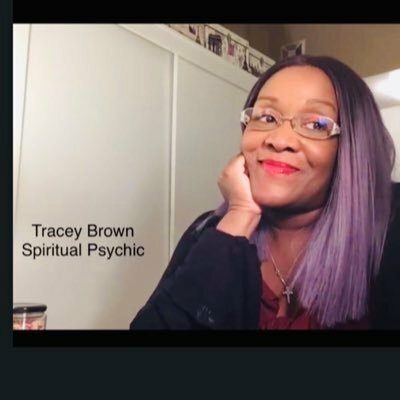 Tracey Brown LIVE 🔮 twitter nickname is TraceyBrownLIVE. Tracey Brown LIVE 🔮 is Psychic/God fearing and Christ loving! I get it right! MOSTLY! Just call me: THE OLIVIA POPE of psychics! #Porsha & #Nene what happened in that damn closet ??? Justin Bieber ... Will you be ok? Word on the Street: THE BABY IS HERE! Jean Pirro is Fox 🦊 Done done ? Jada Picket Smith and the “Red Table” where you going with that Table Jada? The two Africans and Jusssie. Are the two brothers lying 🤥. BSmith Reality TV 📺 WTF? #TamarBraxton Queen of Day time Okrrrrr or nah nah nah!!! Let’s just talk about nothing! Jussie Smollett Will he be ok and can he continue acting? #taraji career ending move ??? Blue candle magic by [email protected] me for your self! #NancyPelosi is a hero! What will #trump do next! #TrumpWatch 98 Where’s the Children what are they worried about? Oh CardiB will you take offset back and how long will it last ? After the mid-terms! How many people will get fired at the White House! Candle 🕯 Magic yourself by [email protected] follow and email [email protected] readings! Getting ready for the FULL MOON 🌕 CANDLE MAGIC ON SELF! Beyonce and the drummer and you and your history. You came from the Land of Magic. It is authorized by God!